Pop a wheelie on your next campaign by employing this promotional skateboard shape bottle opener sports keychain. Skaters and adventure seekers can rejoice with its unique shape. Sports supplies, skaters, skating clubs, summer holiday destinations and others can avail this skateboard shape bottle opener sports keychain for value building. This sports keychain can be availed in discounted prices on ordering them in bulk. 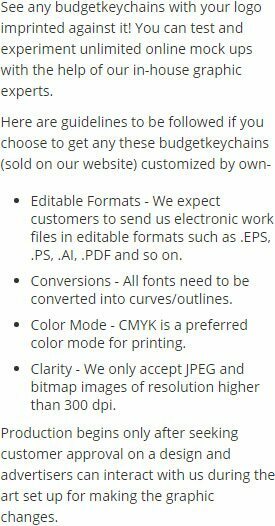 You can wheel off your competitor’s efforts to show large by availing this keychain. 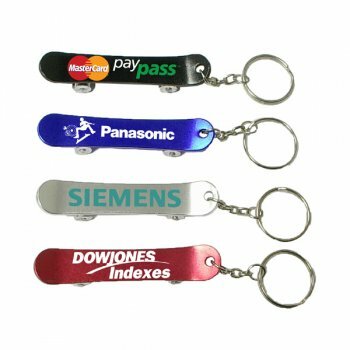 Request a quote to know discounts on wholesale customized skateboard shape bottle opener keychain. Features – Skateboard shaped aluminum body frame with four wheels that really roll. Available colors - Metallic Silver, Metallic Black, Metallic Red and Metallic Blue. Product Size :3" x 5/8"